Vermont Sen. Bernie Sanders has cut former Secretary of State Hillary Clinton's lead in the Democratic primary race to single digits in a new national poll in the wake of his big victory in New Hampshire Tuesday. Sanders is within 7 points of Clinton, according to a new Morning Consult survey released Friday. Clinton registered 46 percent of the vote in the poll, while Sanders scored 39 percent. That is the highest percentage Sanders has recorded in that survey. Fifteen percent of polled voters said they either wanted "someone else" in the race or had still not decided between Sanders and Clinton. The survey polled 1,600 registered voters Wednesday and Thursday. The margin of error was plus or minus 2 percentage points. Sanders continues to hold sway with young voters, winning by a 55 to 36 percent margin among voters 18 to 29. However, the senator is still struggling to make inroads with black and Hispanic voters. Clinton has the edge with black voters by a 63 to 26 percent margin, as well as with Hispanic voters by a 52 to 44 percent margin. With the race continuing to tighten, the two candidates squared off in a highly contentious Democratic presidential debate televised on PBS Thursday night in Milwaukee. The pair traded blows, with Sanders criticizing Clinton for her ties to Wall Street and for seeking advice from former Secretary of State Henry Kissinger. Clinton responded, questioning to whom exactly Sanders listens regarding foreign policy and grilling the senator on his vocal criticism of President Barack Obama. On campaign contributions, Clinton fiercely defended herself, invoking the president to make her case. "[Obama] was the recipient of the largest number of donations ever. When it mattered, he stood up and took on Wall Street," she said. "He pushed through, and he passed the Dodd-Frank regulation, the toughest regulations since the 1930s. So let’s not imply here that either President Obama or myself would not take on any vested interest … to stand up to do what's best for the American people." The next primary for the Democrats is in Nevada Feb. 20. 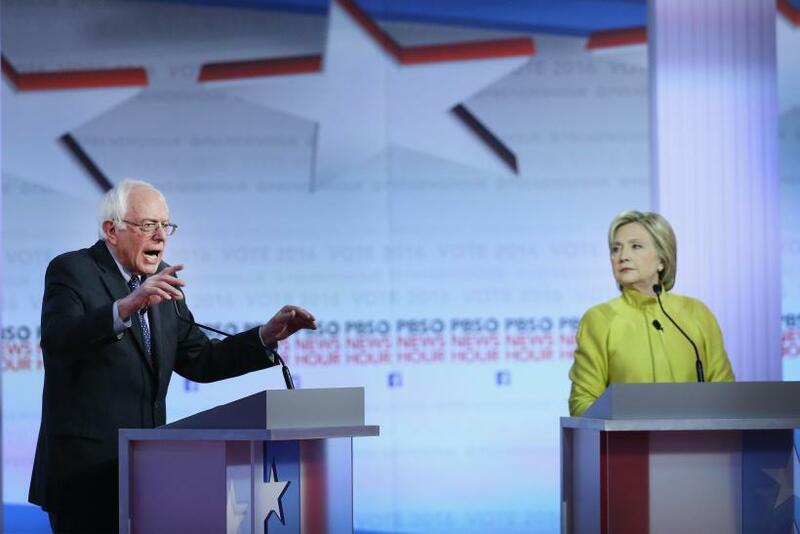 Sanders and Clinton are not currently scheduled to debate again before that contest.